We recently invested in a full-size digital piano and expanded our song list from my original post: Color-Coded Beginner Piano Music Sheets. I also switched the orientation of the pages (from horizontal to vertical). Doing so allowed me to create a beginner piano music book that sits nicely in the sheet stand. All I had to do was print them out, slide them into page protectors and insert the sheets into a 3-ring binder. To label our keys, we used these Color Coding Dot Labels. The colors coordinate exactly and they are the perfect size for full-sized piano keys / keyboards. 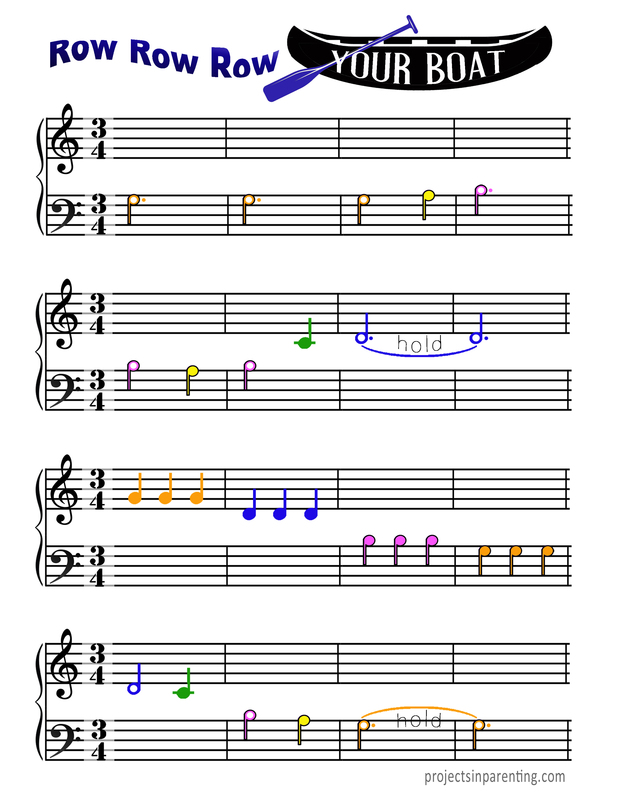 To create your own Color-Coded Beginner Piano Music Book, including ALL NINE SONGS, click here. And just in time for the holidays, we added Jingle Bells and We Wish You a Merry Christmas. Hope you enjoy these music sheets as much as we have!